Batteries - International Forklift Co.
International Forklift Company offers a full line of East Penn forklift batteries. Since 1946, East Penn Manufacturing Company Inc., has developed an enviable reputation for world-class quality products made in their state-of- the-art manufacturing facilities. 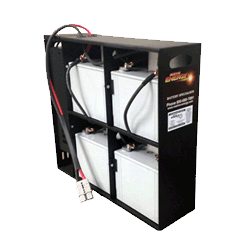 East Penn custom designs batteries per each of our customer’s requirements and specifications. 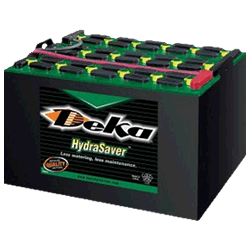 East Penn’s DEKA batteries are considered some of the best, most-reliable industrial batteries for forklifts in the industry. East Penn is recognized as a world leader of the highest quality and most innovative battery technology. They manufacture thousands of different types of batteries for the industrial markets. Their highly skilled engineers use advanced research methods to manufacture the most reliable industrial batteries on the market. 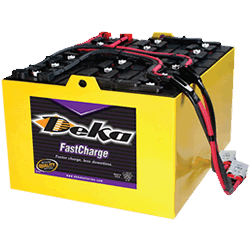 East Penn utilizes innovative computer-integrated manufacturing techniques combined with more than 250 quality assurance checks to ensure that every DEKA battery meets their strict quality and performance standards. 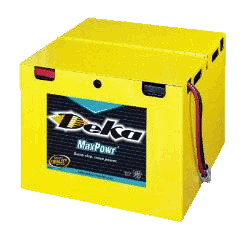 DEKA industrial motive power batteries are durable and dependable, decreasing downtime and increasing profitability. 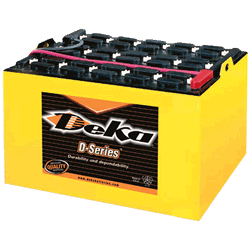 DEKA industrial batteries are available in a wide range of size and AG capacities. 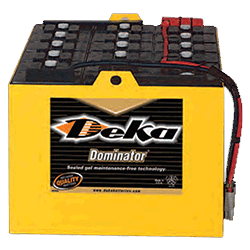 DEKA delivers dependable power for all of your material handling needs. The D-Series is durable and dependable for almost any motive power application. In addition to its versatility, it is designed to be utilized in both conventional and opportunity charging operations. Through optimized active material inefficiencies, balanced plate ratios, and increased electrolyte concentration, it can deliver up to 10% more amp-hours in the same size battery. Maintenance-free gel design to save countless maintenance hours. Designed for either conventional and opportunity charging operations. Spill proof and leak proof. This unite combines an industrial battery and Advanced Charging Technologies (ACT) on-board charger into one unit eliminating the need for remote charging equipment. The charger can be connected into any 15 amp, 120 volt AC outlet for safe and easy charging. 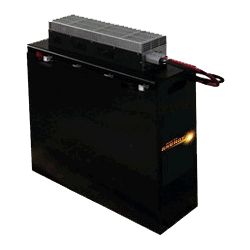 This unit provides all the benefits of a maintenance-free gel battery with an on-board charger design that is connected to a 15 amp, 120 volt AC outlet. It is designed specifically for pallet jack and light to medium for lift applications. It is spill proof and leak proof.